Description: Floracraft SimpleStyle Decor products let you decorate your home with flair and pizzazz. 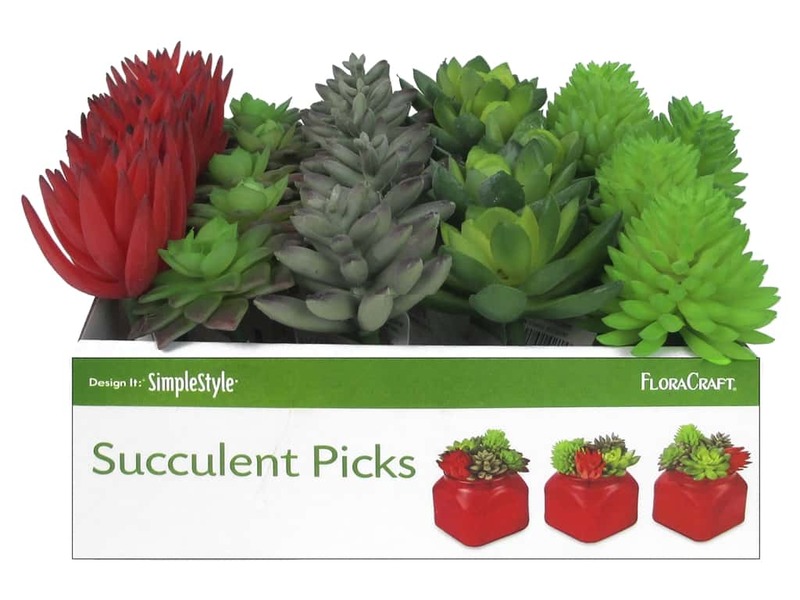 Succulent Pick X Small PDQ- Contains 5 picks each of 5 different succulent styles. Largest pick measures about 2.5 in. across. Cardboard display box graphics show a painted jar with assorted picks arranged. Box measures about 7.5 in. x 3 in. x 7.5 in. without product.